Just an easy outfit which I wore on day 2, last weekend during our shopping days in Rotterdam. Because of the layers and comfortable shoes this was perfect for a day where you go from the on shop to the other and try on a lot of clothes. 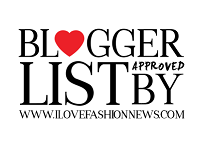 A big thanks to all of you who have voted for me on the blogger battle, because I WON ! !